Become the video voice of Voice of the Voiceless! Create your own music video! Amateurs or professionals can enter. Video should be 3-5 min. in length. 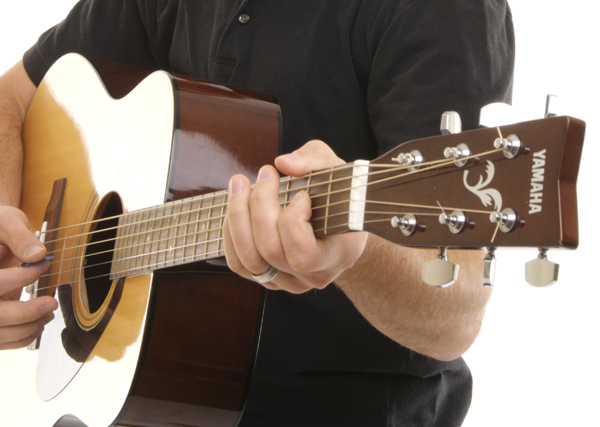 Winner selected based on original song content, appeal and professionalism. Winner debuts their music video LIVE at the First Ex-Gay Awareness Month Celebration in Washington, DC. Deadline to submit video September 23. Entry Fee: $30. 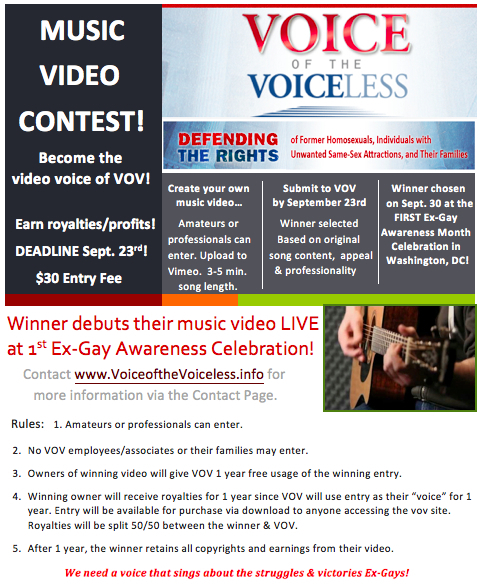 This entry was posted in Uncategorized and tagged First Ex-gay pride month, Music Video Contest on 2013-09-09 by VoV Contributor.